Ann Marie Stevenson, Drew Gerrard and Colin Lindgren of Emerald Isle did the same to San Luis Allen Bowen, Sue Cooper and Scott Malden. The final Semis were held on Monday morning the Ladies Pairs saw Emerald Isles Mary Whitelock and Ann Marie Stevenson overcome La Siestas Irene Laverick and Sue Jordan, while San Miguels Gail Willshire and Ann Eagle had a narrow victory over Jan Pocock and Sue Cooper of San Luis. In the Mens Singles Terry Morgan of Quesada led from the start against San Miguels Noel Davis but in the other game the lead see-sawed until the 20th end where San Luis Ian Kenyon and Emerald Isles John Rimmer were tied at 19 all only for John to take the game with a two on the final end. The Finals commenced Monday afternoon with the Mens and Ladies Singles finals. In the Ladies final things were tight to begin with but after nine ends Maggie Furness slowly took control to beat last years champion Carol Broomfield 21 9. The Mens final was much closer the lead swopped a few times and stood at 17 all after 24 ends but John Rimmer then took the next two ends to win by 21 17 over Terry Morgan. The final four disciplines were decided on Tuesday. 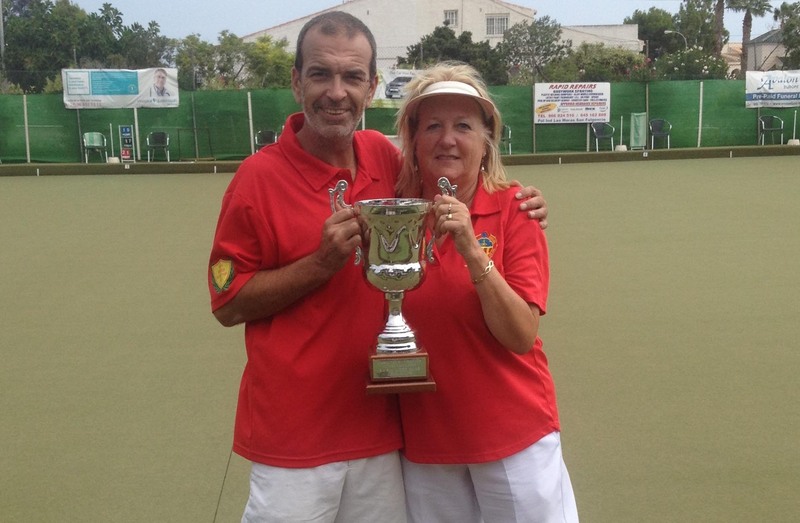 In the Mixed Pairs last years winners Sue Milner and Gary Raby retained their title with a 19 11 victory over Kath Reid and Ian Kenyon. Allen Bowen and Scott Malden proved just too strong for Brian Harris and Richard Lee with a 21 5 victory but the other two finals went right down to the wire. 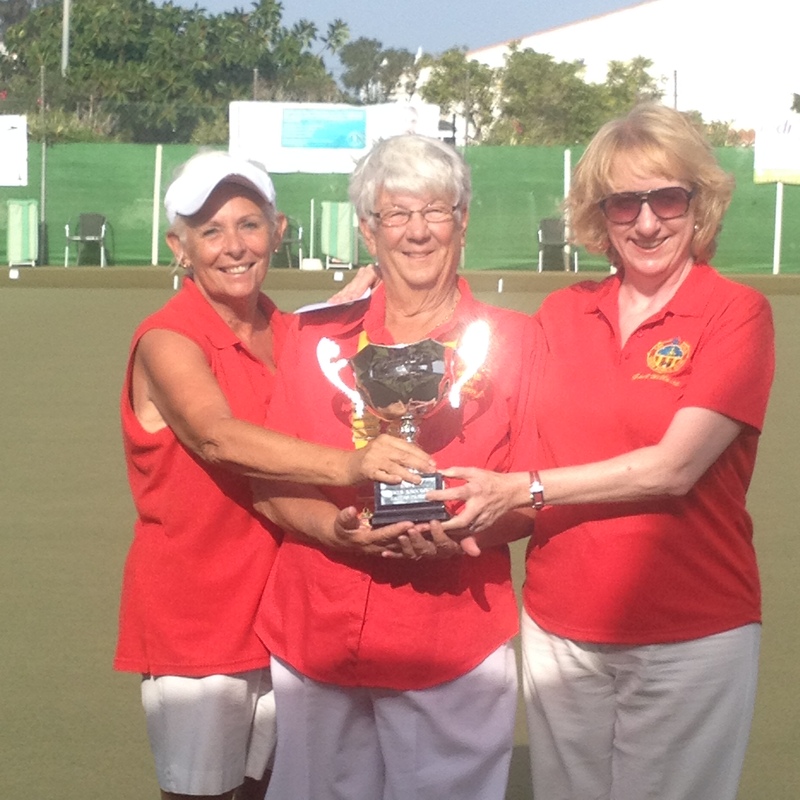 In the morning Gail Willshire and Ann Eagle produced a 21 20 win over Mary Whitelock and Ann Marie Stevenson.